All of the Arizona Bench Rest Shooters matches are held at the Ben Avery Shooting Range in Phoenix Arizona. The Ben Avery Shooting Range is a world-class shooting facility that features 65 bench rest firing positions, 5 benches set up as handicap benches on the East side of the firing line, a large amount of space for reloading, camping (with and without facilities), and much more. 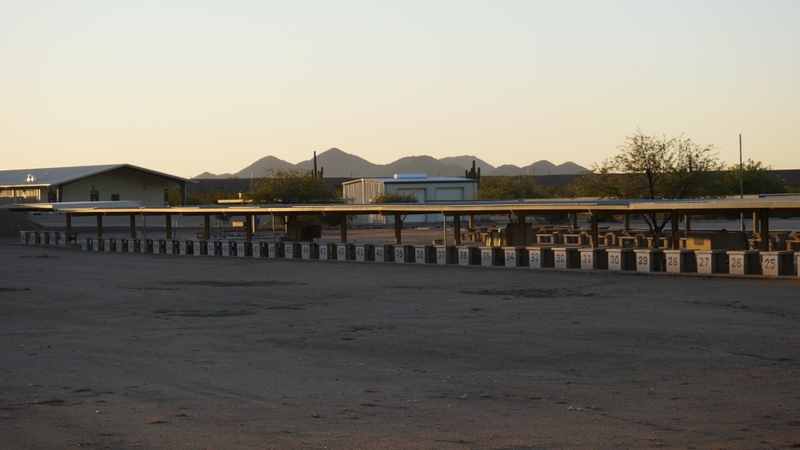 The Ben Avery Shooting Facility is a public outdoor shooting range located in northern Phoenix, Arizona. At 1650 acres (668 hectares) it is the largest public operated shooting facility in the United States. It is operated by the Arizona Game and Fish Department (AZGFD) and is identified as one of the Phoenix Points of Pride. The facility is named for Ben Avery, a local outdoors activist. Visit the Ben Avery Shooting Range website to learn more. Visit Weather Underground to track the weather and wind at Ben Avery Shooting Range. Visit Weather Underground to get a 10 day forecast for Ben Avery Shooting Range. 4044 W. Black Canyon Blvd.